This course is designed to update attendees on the latest evidence and clinical application of therapeutic neuroscience education for patients in pain. Current best evidence has shown that neuroscience educational strategies utilizing neurobiology and neurophysiology are able to reduce pain, increase function, reduce fear and catastrophization, improve movement and change cognitions and brain activation during pain experiences. Therapeutic neuroscience education changes patient beliefs regarding their pain, thus reducing the threat of pain. This class will discuss the evolution of therapeutic neuroscience education, why neuroscience education is needed in physical therapy and, more importantly, the clinical application and implementation of therapeutic neuroscience education for patients with acute, sub-acute and chronic pain. Special features include various metaphors, images, examples and case studies explaining neuroscience to patients in pain. In addition, the class will cover clinical issues such as compliance, pacing exercise and activity, incorporation of therapeutic neuroscience education with traditional movement based therapy, billing and insurance reimbursement concerns and delivering therapeutic neuroscience education in busy, time-constrained clinical environments. This class is a must for all therapists dealing with patients in pain. Physicians, nurses, physical therapists, and other healthcare professionals. Demonstrate the clinical ability to apply therapeutic neuroscience education to clinical practice with the use of at least one metaphor shared in class. Kory received a Masters in Physical Therapy from the University of North Dakota in 1994. He completed his transitional DPT from Des Moines University in 2010. Currently he works as an Assistant Professor with the University of South Dakota Physical Therapy Department and maintains clinical practice one day per week with Mercy Business Health Services in Sioux City, IA working with outpatient work related injuries and providing on-site loss prevention services for local businesses. 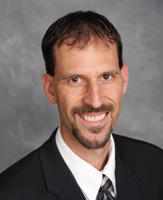 His primary teaching and treatment focus is with evidence-based practice for orthopedic injuries along with client and community health education and therapeutic neuroscience education. Along with patient care he has advanced training in work injury management and ergonomics. Past work experiences have been with various community-based hospitals working in multiple patient care areas of inpatient, skilled rehab, home health, acute rehab, work conditioning/hardening and outpatient. He also was department manager of rehabilitation services at St. Luke’s Health System in Sioux City for eight years. He is an Advanced Credentialed Clinical Instructor through the APTA, Certified Spinal Manual Therapist (CSMT) through International Spine and Pain Institute and has completed Certification in Applied Functional Science (CAFS) through the Gray Institute. Relevant to the content of this CME activity, Dr. Zimney indicated he receives royalties from OPTP. MD: This activity has been planned and implemented in accordance with the accreditation requirements and policies of the Iowa Medical Society (IMS) through the joint providership of Des Moines University (DMU) and the International Spine and Pain Institute. DMU is accredited by the IMS to provide continuing medical education for physicians. DMU designates this live activity for a maximum of 15.25 AMA PRA Category 1 Credits™. Physicians should claim only the credit commensurate with the extent of their participation in the activity. DO: Des Moines University (DMU) is accredited by the American Osteopathic Association (AOA) to provide osteopathic continuing medical education for physicians. DMU designates this program for a maximum of 15.25 AOA Category 2-A credits and will report CME and specialty credits commensurate with the extent of the physician’s participation in this activity. Nurse: Des Moines University is Iowa Board of Nursing approved provider #112. This live activity has been reviewed and approved for 15.25 continuing education contact hour(s). No partial credit awarded. Other: This live activity is designated for 15.25 AMA PRA Category 1 Credits™.